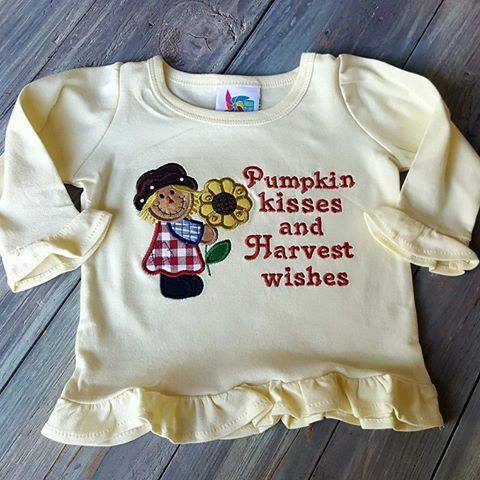 Project Inspiration - Scarecrow & Harvest-Themed Projects / Designs By JuJu Embroidery Blog! This entry was posted on August 21, 2018 by Julie Hesketh. 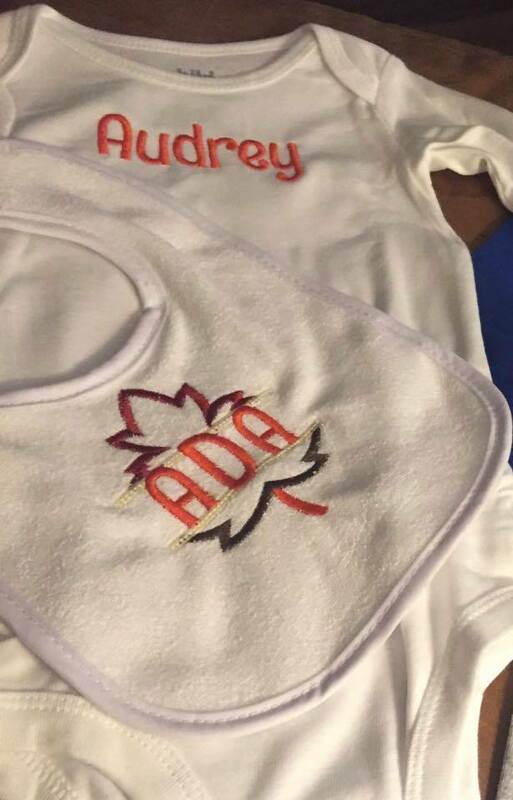 How cute is this Onesie & bib featuring our Autumn Split Applique set? 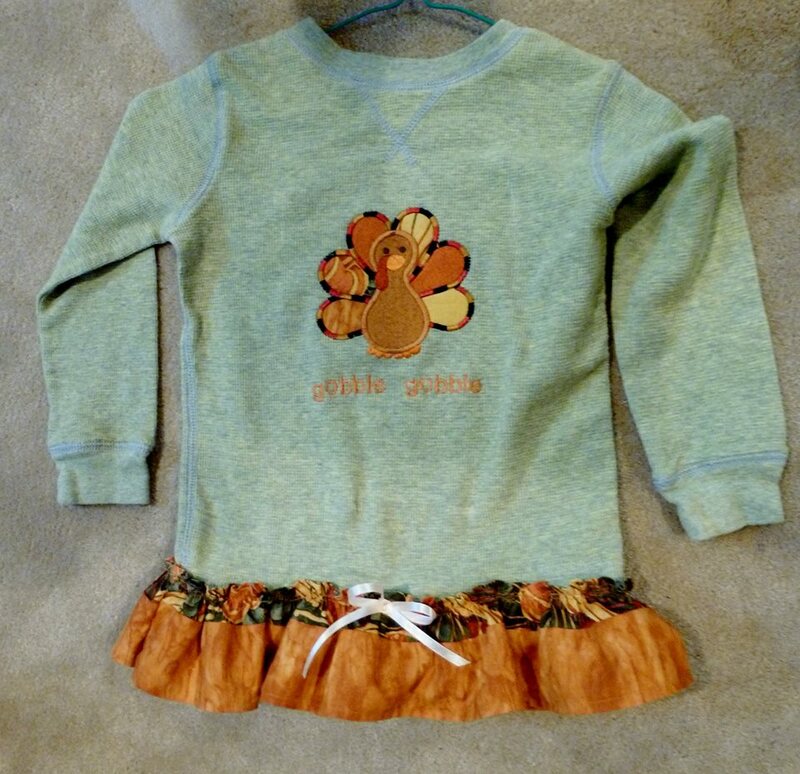 This little baby set is the perfect gift for a new autumn baby!! Speaking of thinking outside of the box... How CUTE is this towel that Mary made featuring our Harvest Happenings Applique set?? 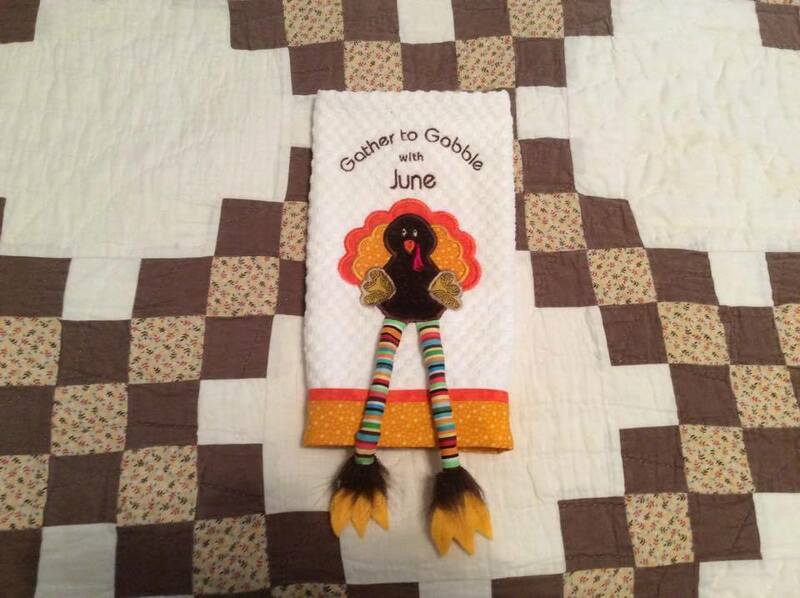 This adorable towel would be the perfect hostess gift for Thanksgiving dinner, or even just a gift for that person in your life you’ve been meaning to give a gift to! So many cute fall shirts, so little time!! 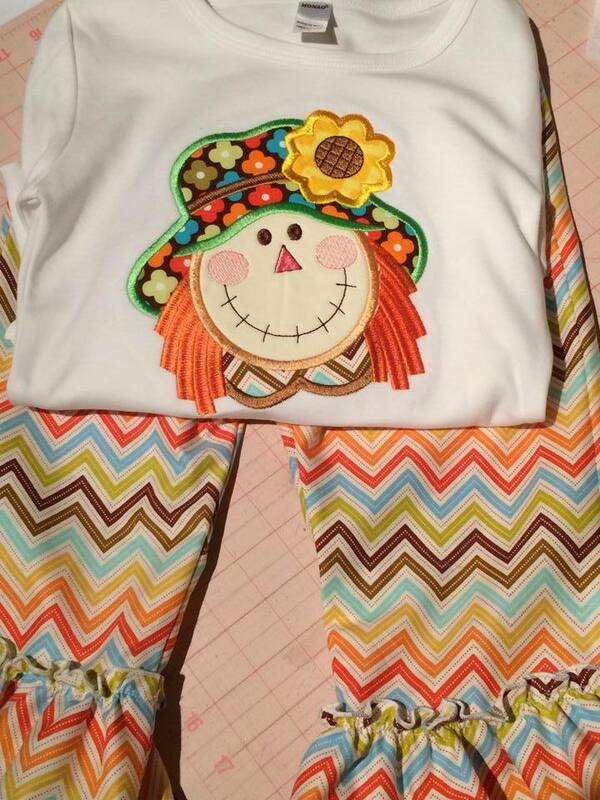 We love the way this shirt Jacqueline made using our Scarecrows Applique set turned out. We love the way Jacqueline customized the shirt with an adorable saying. 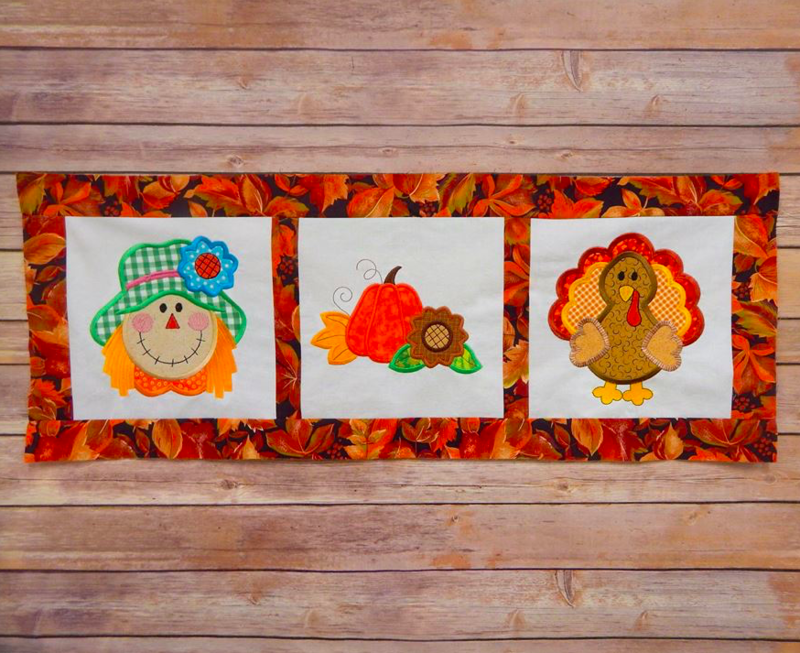 We hope this creative customization gives you some inspiration for your next fall project!